Saab has signed a contract with the UK Ministry of Defence to provide support services related to the land-based Giraffe AMB radar systems from 2019 to 2024. The contract includes provisions to supply spares, repairs, maintenance and field service representative (FSR) services, as well as design assurance and configuration management. Saab will carry out the work on site at Baker Barracks in Thorney Island, UK and at Saab in Gothenburg, Sweden. Anders Carp, head of Saab’s business area surveillance, said, "Top-tier support is an important part of Saab’s offer. Our support offer has in-built flexibility to enable high readiness and availability as well as long-term sustainability. We are proud to assist the British Army with further enhancing their air situational awareness." 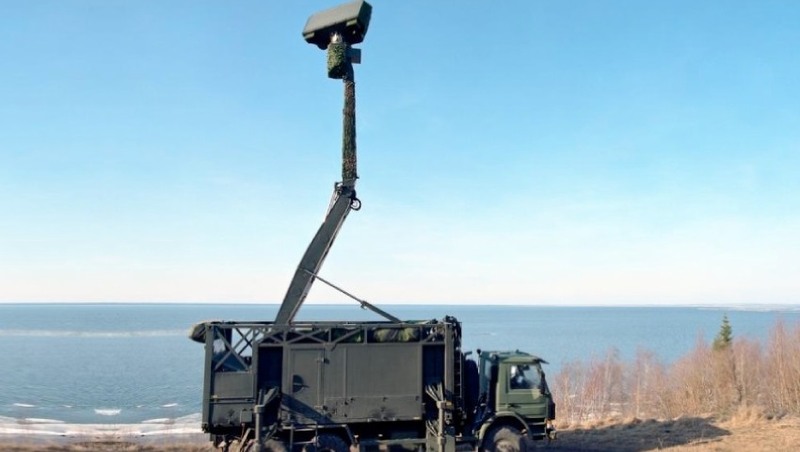 Saab’s multi-function Giraffe AMB radars have been in operation with the UK armed forces since 2007, contributing both to force protection through the detection of incoming rockets, artillery shells and mortars and to air situational awareness and air defence on operations and at public events. The UK’s fleet of land-based Giraffe AMBs, the largest in the world, has been upgraded to the latest build standard, with features including identification friend or foe (IFF) Mode 5 and integration with the Link 16 data network. The radars will support the Land Environment Air Picture Provision (LEAPP) as part of the future Sky Sabre system. This announcement comes following an announcement by Saab Australia and the Australian Army in September 2018, which saw the Australian Army's, Saab-designed short range air defence (SHORAD) achieving the latest Mode 5 IFF standard. The Mode 5 IFF upgrade provides a more secure way of identifying Australian, US and coalition combat units to avoid the chance of blue-on-blue fratricide incidents. "IFF Mode 5 ensures Australian ground-based air defence crews can participate in allied missions operating in shared airspaces confidently. Mode 5 is critical for knowing who is a friend and who isn’t in complex operational environments," Trevor Bate, project manager, Saab Australia, told Defence Connect at the time. Giraffe provides integrated medium- and short-range GBAD systems supported in multiple simultaneous engagements. The Giraffe AMB can classify and track fixed-wing, helicopter, surface, jammer and ballistic targets. The Giraffe AMB medium-range 3D radar surveillance system is an ideal gap filler that provides airspace commanders with the capabilities needed for maintaining continuous and accurate air situational awareness. The system is a mobile, deployable or ﬁxed asset for air surveillance that can be operated remotely or locally with the ability to provide a networked air picture. Giraffe AMB allows for standard or customised data link integration.